Preheat oven to 200 degrees F. Preheat a large nonstick griddle or skillet over medium low heat. In a medium bowl, sift together all dry ingredients. In another medium bowl, beat the eggs, buttermilk, milk, honey and vanilla. Stir the wet ingredients into the dry ingredients, mixing only enough to combine. The batter will be somewhat lumpy. 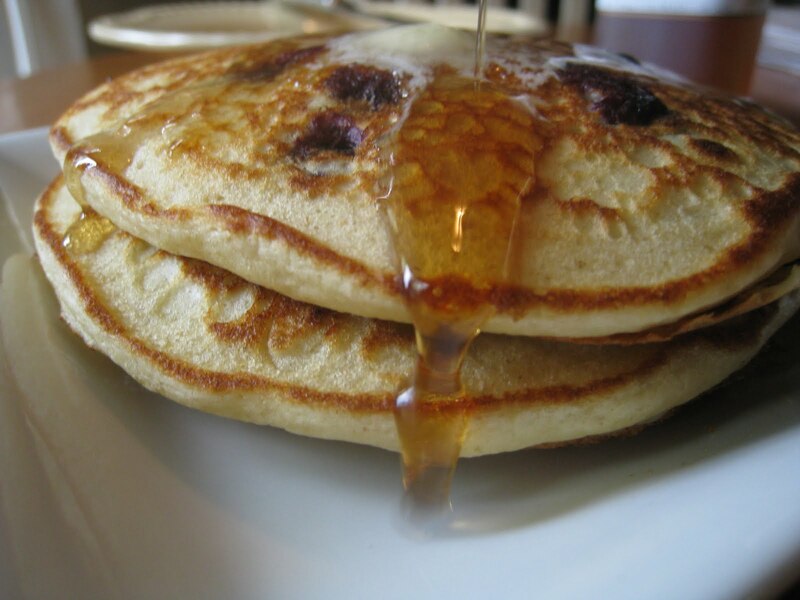 Use a 1/3 cup measuring cup to ladle the batter onto the griddle or skillet. Flip the pancake when the top is bubbling and it is golden brown on bottom. Cook until other side is golden brown. Place pancakes on oven proof platter and place in warm oven for up to 20 minutes while preparing the rest of the pancakes. >My kids request these all the time. We keep the dry ingredients in an air tight container for use at any time. I will even add ground flaxseed or wheat germ and they cannot tell the difference. >Ohhh Abby, what a great idea! I should do that. Yes, and I have flaxseed in the freezer that I need to start adding b/c of O's constipation problems! Thanks for the tips!